Increasingly sleep deprivation is being recognised by health professionals as having a significant impact on a person’s health. Matthew Walker, director at University of California, Berkeley’s Center for Human Sleep Science links sleep deprivation to a range of serious health issues¹ including cancer, diabetes, Alzheimer’s, obesity, and poor mental health. He describes the implications of long term sleep deprivation as being “catastrophic”. Traditional sleeping tablets may offer a solution for people who have trouble falling and staying asleep however the side effects often outweigh the benefits. In 2013 a team from Yale University published a study² that showed participants who took melatonin went to sleep 7 minutes faster than the control group and stayed asleep 8 minutes longer. Not exactly setting the world on fire, but the study does contradict those claims that melatonin has no effect on sleep patterns whatsoever. The other finding of the study which is even more interesting is that overall sleep quality was significantly improved by melatonin (standardised mean difference?=?0.22). 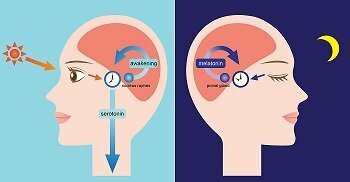 Along the same vein, a study conducted by the Charité Universitätsmedizin in Berlin³ found that melatonin increased a person’s REM sleep and normalised circadian rhythms – two of the most important factors in achieving quality sleep. Why is this important? Experts on sleep disorders now agree that quality of sleep? is just as, if not more important, than quantity when it comes to a patient’s overall health and sense of well-being. This may explain why some people can function at high levels on just a few good hours of sleep a night, while others drag themselves through the day after 9 or 10 hours flinging about under the doona. So while melatonin only contributes to a marginal increase in quantity of sleep, it’s positive effects on quality may be far more beneficial. An article published in Science Daily? earlier this year found that many off-the-shelf melatonin supplements available from health foods stores in the US had far less, and sometimes far more, melatonin than that listed on the label. 71 per cent of those supplements tested were well outside the 10 per cent margin. This lack of certainty over melatonin levels is concerning for health care professionals, however a compounding chemist can help practitioners regain a level of control. National Custom Compounding can make up melatonin supplements to the exact percentages requested giving you and your patients peace of mind. Contact head pharmacist Matt Bellgrove for more information on melatonin and our compounding services.